Editor’s Note: Giles Island in the middle of the Mississippi River is famous for two reasons. On a sandbar on Giles Island is where the famous Jim Bowie, who fought in the battle at the Alamo in Texas, earned his reputation as a knife fighter, and where the legend of the Bowie knife started. 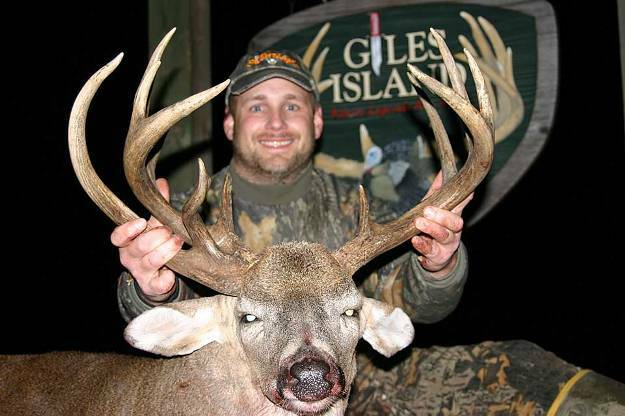 Giles Island is also a legendary place to hunt and take big bucks. 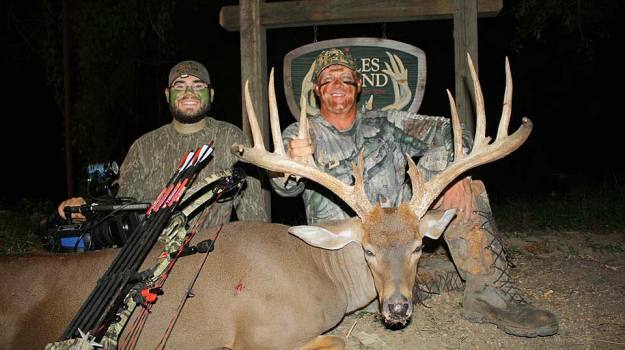 The lodge manager for Giles Island is Mossy Oak Pro Jimmy Riley, who lives in Natchez, Mississippi, and has been guiding and hunting deer for 39 years. Riley also co-hosts Mossy Oak’s “Deer THUGs” TV show. When I first meet someone and tell them that I'm a Mossy Oak Pro Staff member and the lodge manager for Giles Island, often, the first question I’m asked is: “What is Giles Island?” Giles Island is a 9400-acre island in the middle of the Mississippi river that’s loaded with big trophy white-tailed bucks. No one really knows when deer first appeared on the island. But they stay because the island is made up of lush river bottom soils, has naturally-occurring sweet pecan trees, which the deer love, green fields planted in Mossy Oak BioLogic and some hardwood bottoms with oak trees. We like the BioLogic Maximum blend. In board feet, the most-dominant tree on Giles Island is the sweet pecan. Back in the 1700s and 1800s, all the oaks and cypress trees on the island were cut down to build the antebellum homes of the plantation owners in nearby Natchez, which today has more antebellum homes on the National Register for Historic Places than any other city in the nation. Since the sweet pecan is naturally-occurring on the island, when all the timber was cut off the island, these trees grew quickly and replaced most of the oaks. These trees have small pecans that have more oil in them than commercially-raised pecans. The deer love these sweet pecans more than they do acorns. Until the deer population built-up, Giles Island was known mainly for being the place where Jim Bowie became a famous knife fighter. 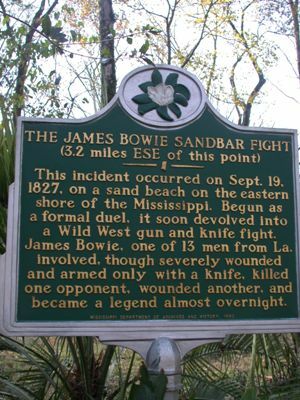 Bowie went to a duel on Giles Island. He was the second to one of the men fighting the duel. The two men involved in the duel stood back-to-back with blackpowder pistols. At 7:30 am, they stepped off 12 paces, turned and fired. Both men missed. Some of the bystanders said, “Okay, you’ve had your duel. Let’s shake hands, and go home.” Another group of bystanders said, “No, a duel is to the death. You have to reload and shoot again.” The men who wanted to see blood fly won. The duelers reloaded, marched off the 12 paces, turned and fired, but both men missed again. A fight started between the spectators on each man’s side. Jim Bowie only had a big kitchen knife with him. When the fight started, somebody stuck a sword all the way through him, and he was shot three times. He killed one man with his Bowie knife and wounded another one. He almost died. He became a legend because of the sandbar fight. Giles Island has a rich history, an abundant deer herd and plenty of big bucks. To contact Jimmy Riley and Giles Island, call 877-944-5374, go to the website at www.gilesisland.com, or friend him on Facebook https://www.facebook.com/gilesisland. 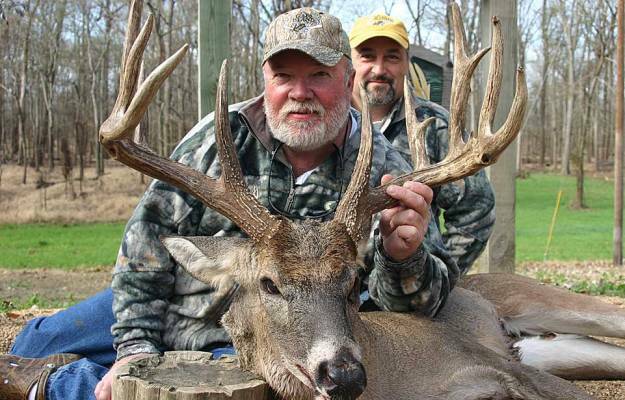 The photo album on the Giles Island website has pictures of bucks harvested there since 1999. A major mistake that hunters make is what I call the fudge factor. 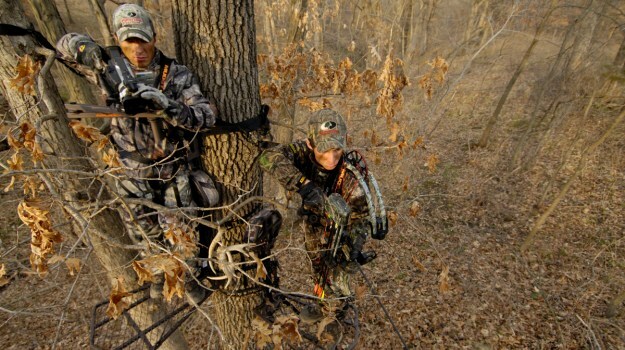 They’re walking into their stand, and they realize the wind is blowing from the wrong direction for them to hunt from the stand where they planned. So, they say to themselves, “I'm almost to the stand. If I go to another stand where I have a favorable wind, I can’t get there as early as I want to be in my stand. 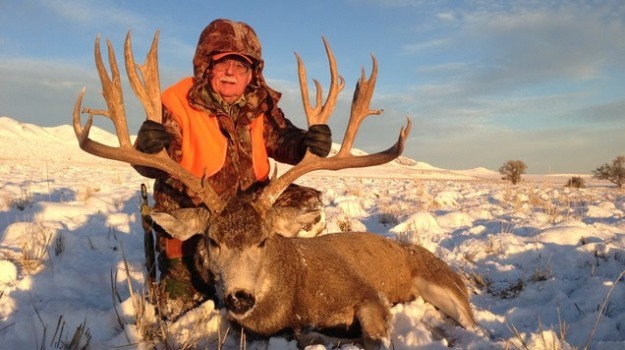 The recently concluded Western Hunting and Conservation Expo set a new record for a deer permit when a hunter submitted a $310,000 winning bid for a mule deer permit on Antelope Island in Utah. 90% of that money will go to Antelope Island State Park. We’ll harvest about 75 bucks per year off Giles Island. We classify our bucks as management bucks or trophy bucks – all shooter bucks. Less than half the bucks we take are management bucks. We define a management buck as an older-age-class buck with antlers that will score less than 125 on Boone and Crockett. 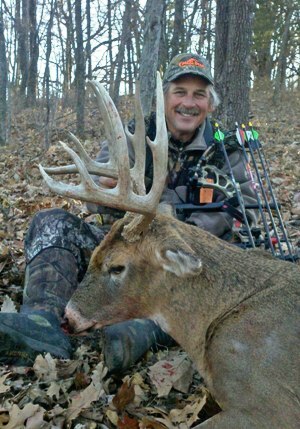 We classify a trophy buck as a buck that scores more than 125.